Presently we manage over 1000 installations island wide. 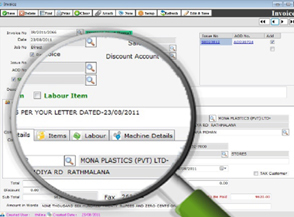 In order to cater to these customers we have a heavy investment in spare parts. 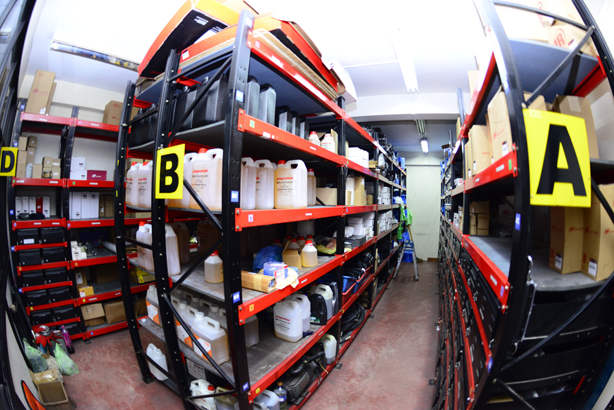 The investment in spare parts are focused mainly upon catering to our customers urgent needs. We also carry a fully range of pneumatic tools and accessories for our customers. In order to support our customers 24 x7 days of the year, our service division is manned by over 25 full time employees. All our senior technicians are provided with service vehicles to ensure that they can respond to our customers’ requirement quickly and efficiently. 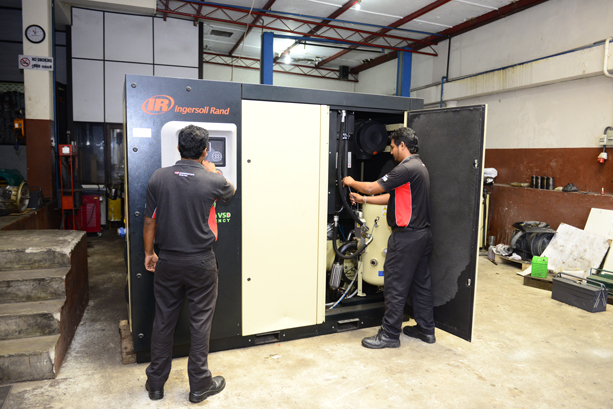 Our senior technicians are factory trained in Singapore to carry out major overhauls of our air compressors in Sri Lanka. We also carry out overhauls of our competitor’s air compressors as well. Our preventive maintenance program is built upon one objective, which is to ensure that your equipment performs at optimum levels continuously. In order to achieve this, we have assigned each of our customers to a single service technician. 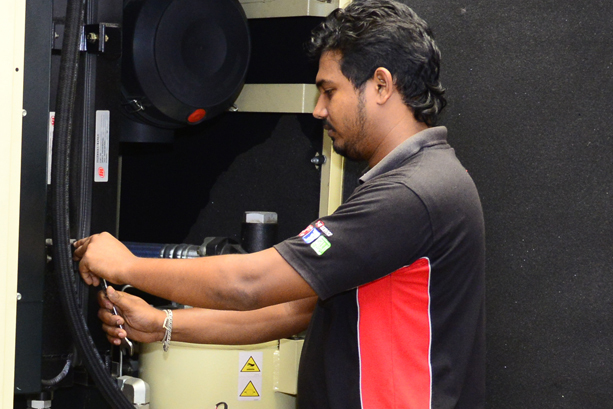 This service technician will physically visit your equipment and service them on the scheduled day making sure that the equipment will function without issues till the next service.